IOTA’s Granite planters feature in a landscaping scheme for this ultra-contemporary residence in the exclusive Burwood Park community. Burwood Park is a private residential park in Walton-on-Thames, Surrey, England. The 360 acre gated park has 375 dwellings, each substantial and of individual design. This modern residence is built on an elevation, and extensive areas of hard landscaping surround the house, as well as creating discrete areas such as a sunken garden. 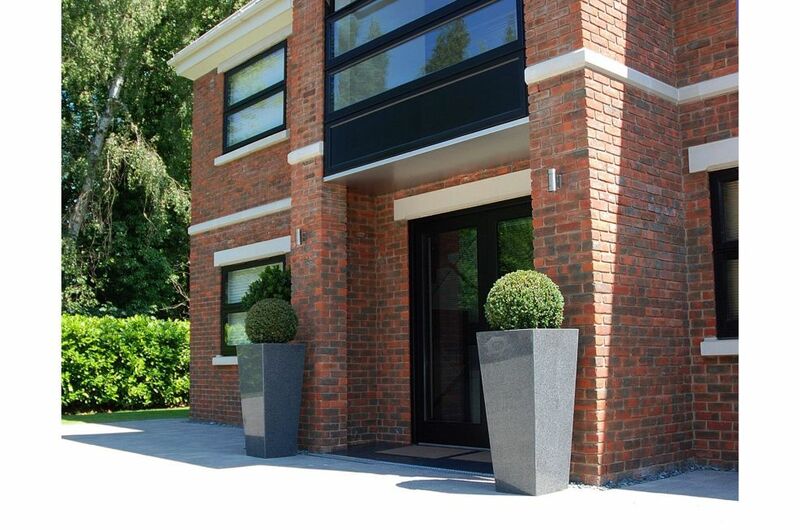 With clean lines and a high standard of finish, IOTA’s Granite planters complement the modern architecture of this residence, whilst the planters’ mid-grey stone colour creates a visual link with the gunmetal grey doors, windows and balconies of the house. Simple architectural planting is used throughout to further unify the scheme; whilst planted interest is created in each discrete area by varying the use of buxus, ligistrum topiary, acers, grasses and olives. 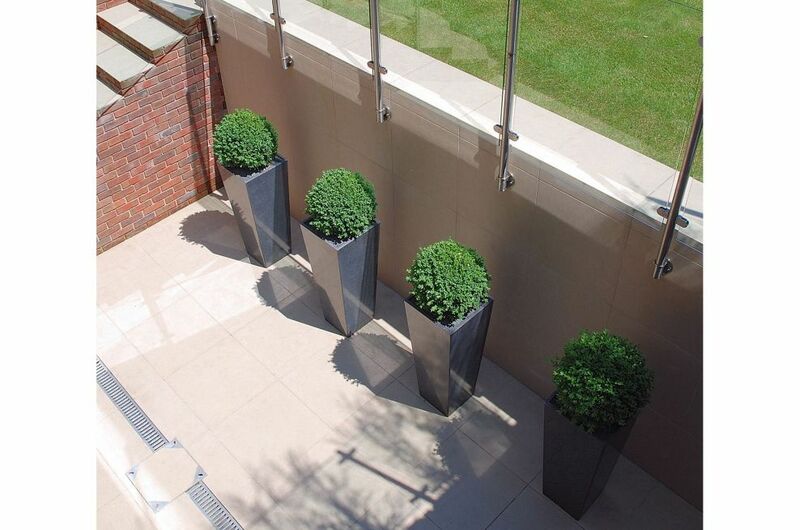 Extra-large planters were selected in keeping with the scale of the residence. 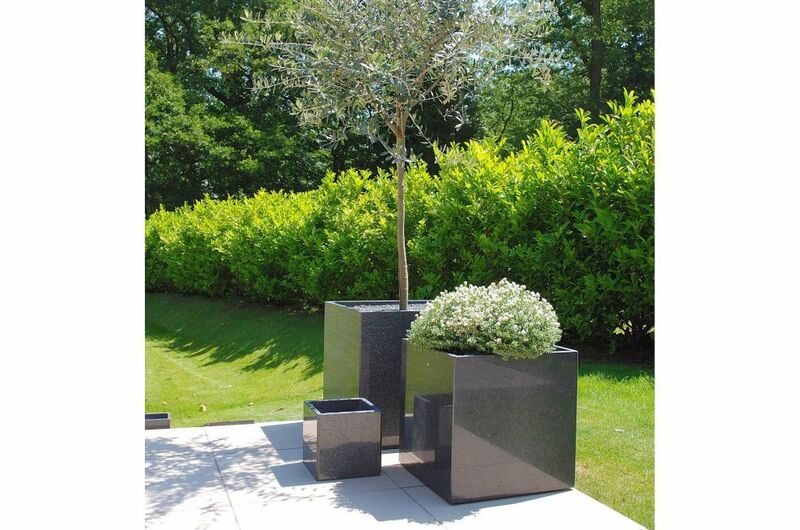 The planters in tapered form are the Taper 800, Taper 1100 and Tall Taper XXL, with cube planters in 500mm and 600mm size also used. 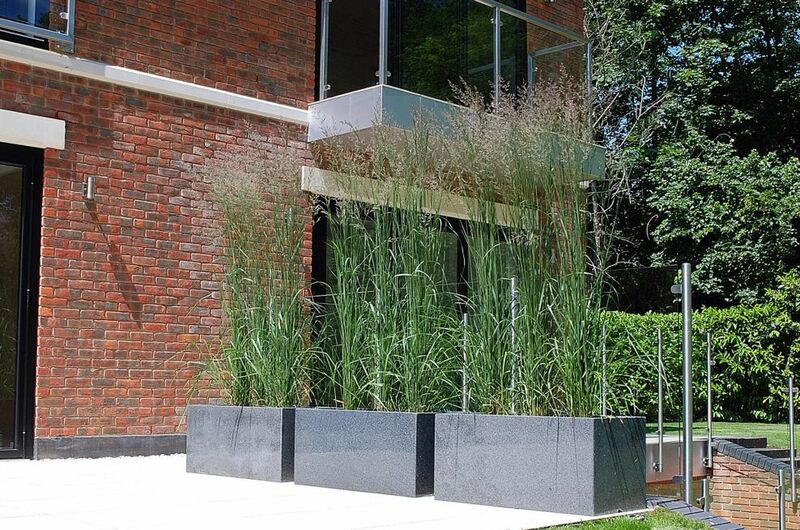 Finally, a line of Granite Trough 1000 planters were used to screen the end of a terrace, planted with tall grasses. 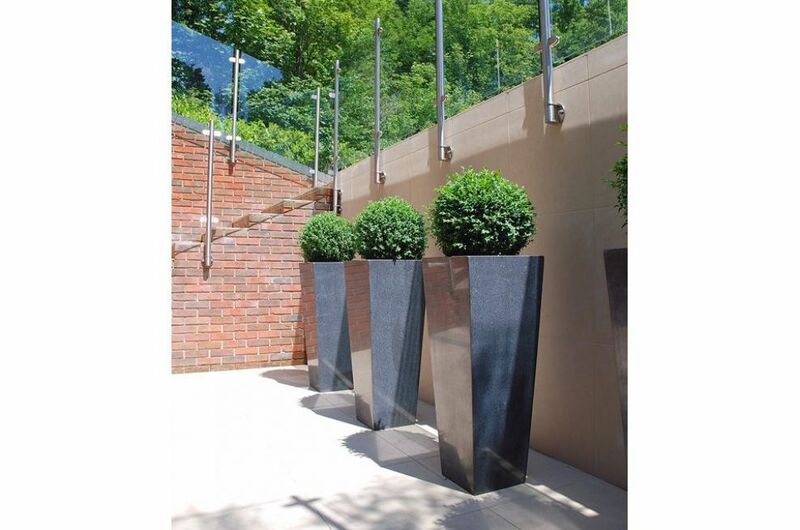 All planters were fitted with self-watering reservoirs, also supplied by IOTA. 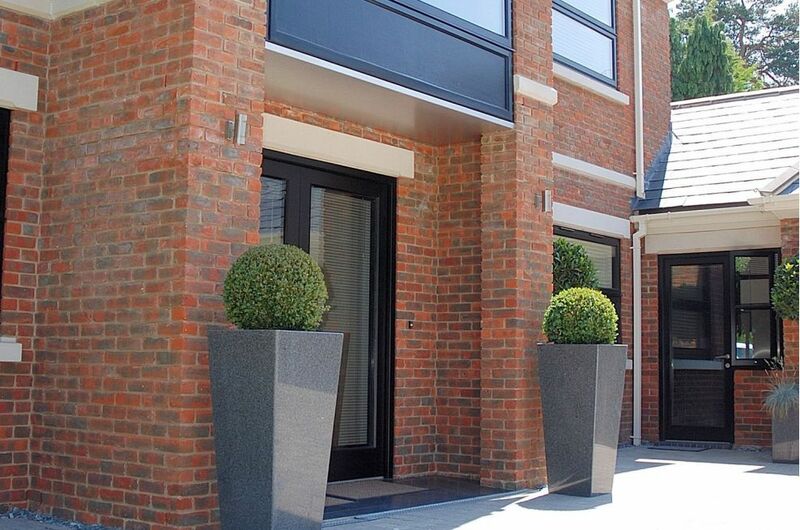 IOTA’s planters were specified for this scheme by Prêt à Planter Ltd. Prêt à Planter provides a range of garden design and landscape design services, to both residential and commercial clients. The practice operates internationally, with the majority of clients being in the South East of England, France and Belgium.